All transactions are safe and secure with a reliable history in online purchasing behind each of our associates. Buy the Alfred Hitchcock Presents t-shirt to own Alfred Hitchcock clothing and merchandise. People around the world easily recognize the round caricature on this Alfred Hitchcock t-shirt. Due to Hitch's mystery television series, it has become one of his most basic trademarks, as has the Funeral March of a Marionette song used in the introduction. Sadly, they are not currently aired on a regular basis but that doesn't mean you can't watch them anyway. To see them for yourself or to host a viewing party, snag an Alfred Hitchcock Presents DVD or movie to watch in this tee. 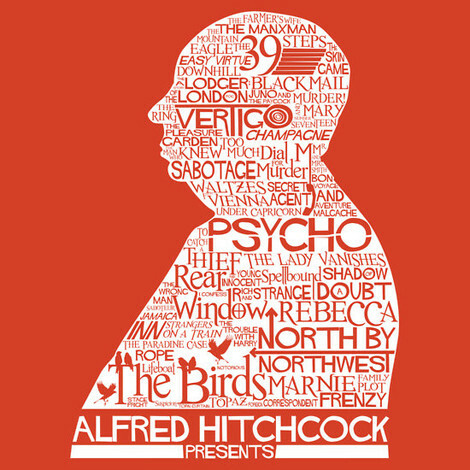 In addition to the Alfred Hitchcock Presents tee above, browse the Alfred Hitchcock Clothing Gallery for more apparel like men's and women's clothes, kids shirts or hoodies.